Christmas Eve day brunch. After a busy weekend of visiting with friends and family we needed a hearty brunch. Thanks to our Enterprise Farm year round CSA, I was inspired to do this breakfast hash. Par boil your diced potatoes for about 5 minutes in enough water to just cover them, adding a cup of apple cider vinegar. Meanwhile dice one large onion and about 6 big garlic cloves. I prefer a cast iron pan- heat it up, add olive oil, sauté your garlic and onion on medium heat until translucent. Add potatoes and reserve some of the liquid from cooking them. Add cumin, cayenne, salt and pepper. Stir well and cover for 5-7 minutes. You want some crust to form on sides of potato pieces, but not so they burn or stick. If it seems too dry, spoon in reserved liquid and cover to help steam cook the potatoes. 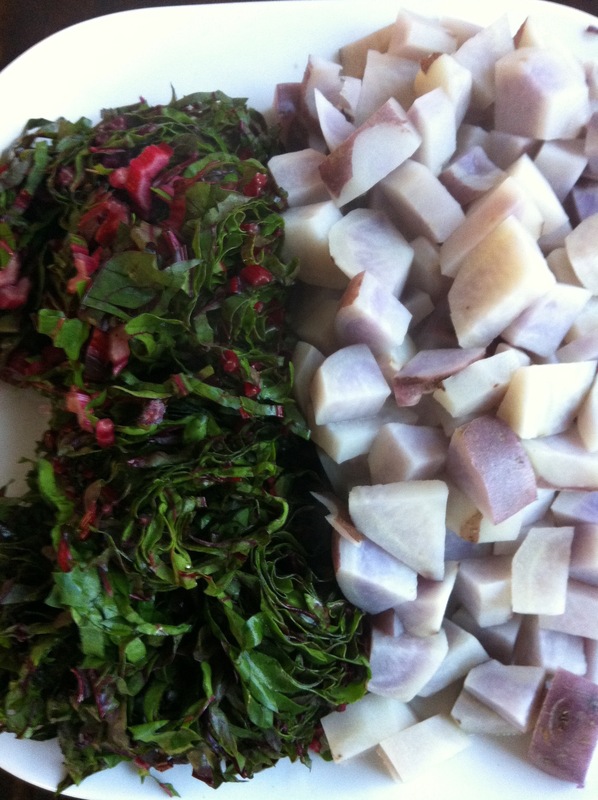 Taste- when potatoes are almost done , add your julienned red chard, stir and cover until wilted. Serve with two fried eggs on top! 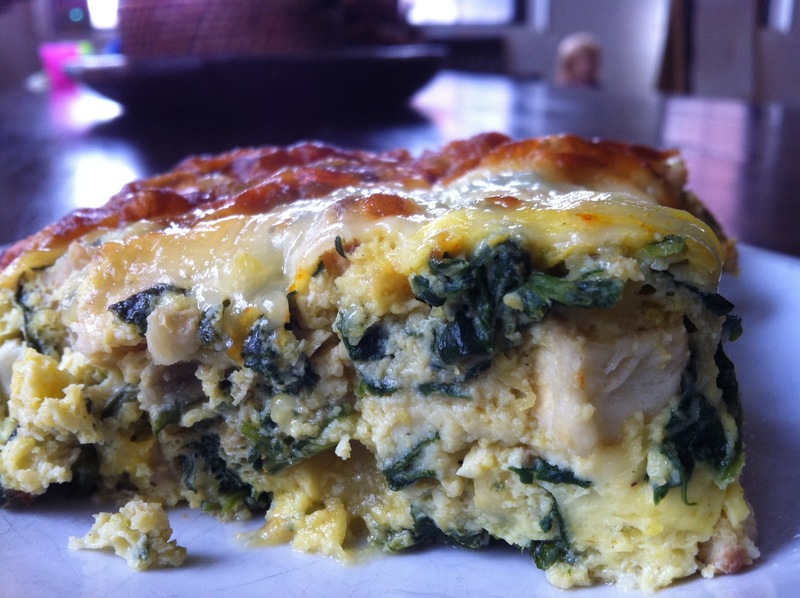 When I had my restaurant our quiche of the day was one of our most popular lunches. It worked out well for everyone, as that was where all the unused prepped vegetables from the night before ended up. My formula was always non- traditional with the egg mostly a binder to hold a ton of vegetables and some cheese together. I often use fresh herbs or spices too, it’s still my go-to at home for using up vegetable sides. Before writing this I happen to Wikipedia Frittata up make sure I had the proper amount of t’s. Turns out the crustless dish I make at home is more akin to the Middle Eastern dishes Eggah and Kuku. Needless to say, anything cut into triangles seems to be a hit with my family. Leftover leftovers are great breakfast sandwiches as well! This at least serves 4-6 with some salad and bread. I made in 8×8 glass casserole. Beat eggs, add milk and beat till really frothy, add squash and mix well. Then stir in collards and celery root. Pour in pan and place sliced cheese on top. Bake for 45 minutes or until knife comes out clean from center. Please, by all means improvise ! love to hear about crazy combos . The end of the season BBQ is bitter sweet. Bitter because we love to cook outside, but not so much when it’s not comfortable. Sweet because we go back to long slow charcoal projects. The heat of summer makes us want to cook quick things on the gas grill. I took the last of the half lamb we bought from Pygarus Farm in New Boston, NH out of the chest freezer and gave it a good rub down. 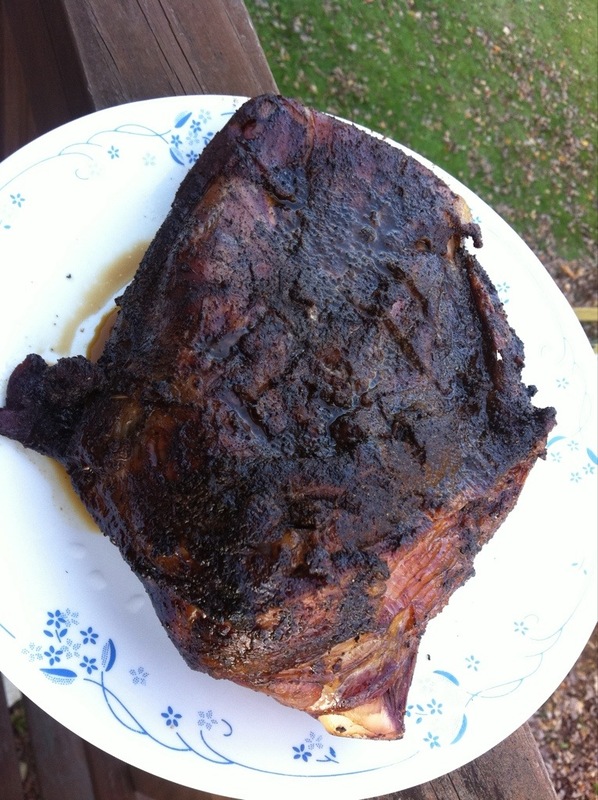 If you want my rub and details about “indirect heat charcoal grilling” , see the post; “Where the Buffalo Roam”. This was a bone-in shoulder roast and it was done in about an hour, I made a mop of beer, honey, garlic and kalamata olive juice. This post really honors Food Day, as our whole dinner was from local farms. We had roasted butternut squash and sweet potato cubes, and braised kale and tomatoes from our Enterprise Farm -Year Round CSA. Also amazing huge sweet corn from Greaney’s Farm and Ice Cream stand, 114 in South Weare, NH. Home of the ice cream eating chickens! 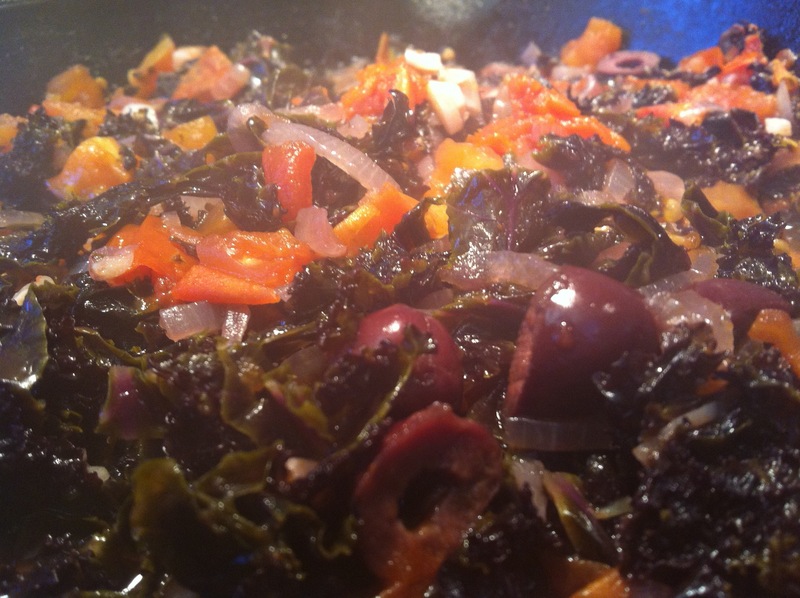 The kale was braised with caramelized onions and diced tomatoes, beer, diced kalamata olives and also some of the same potion I used for the mop. 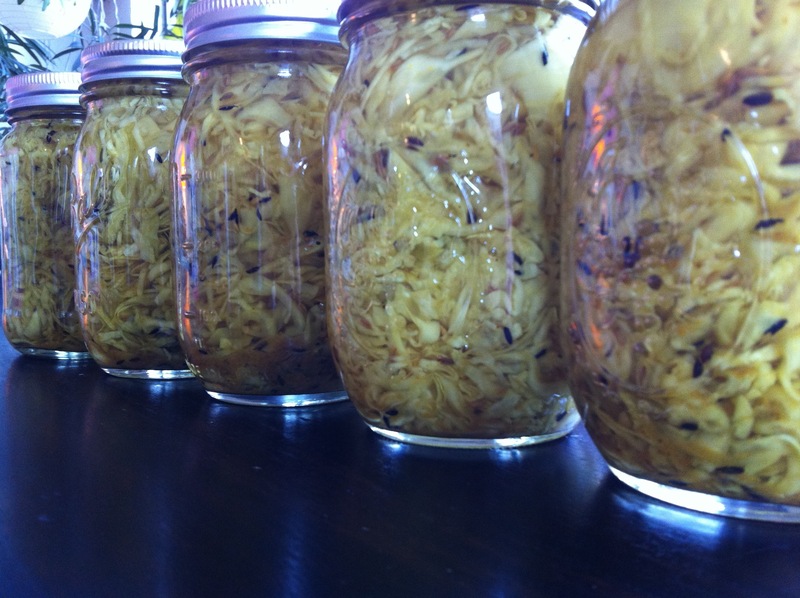 Our Enterprise Farm share had contained a bunch of lovely leeks which inspired what I made with the leftovers. I’ll get to that in my next post.